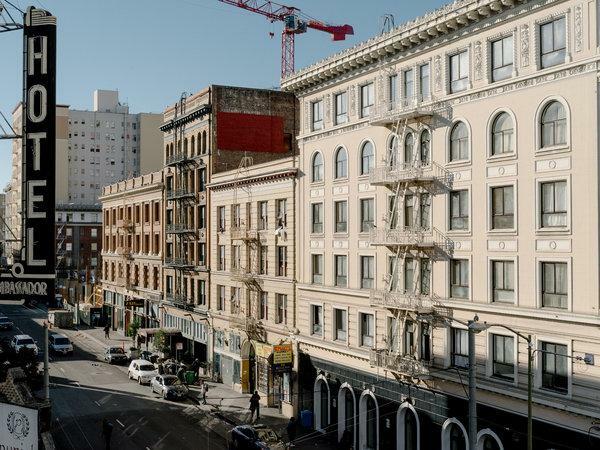 In search of reasonable rent, the middle-class of San Francisco are moving into dorms. Shared bathrooms at the end of the hall and no individual kitchen or living room is becoming less weird. The average one-bedroom apartment in San Fran rents for $3,300 a month, but a dorm bedroom of 130 to 220 square feet goes for $1,400 to $2,400 a month furnished, with utilities and Wi-Fi. (The) target demographic makes $40,000 to $90,000 a year. Residents range from their early 20s to early 50s. One evening back at Starcity’s Mission House, Rachel Haltom, 22, an account executive at Yelp, baked a birthday cake with Steph Allen, 24, a fashion boutique merchandise planner, for a housemate.Ms. Haltom had never made meringue, but Chris Maddox, 27, a writer, had come home and took over the egg-white whipping. One tenant announced a secret crush on another, and there was debate about the merits. They joked about alcoholic seltzer water, a new trend they all agreed was absurd, as Ms. Allen drank one.